We recently changed from vCenter server 5.5 on Windows server to v6.0 appliance. 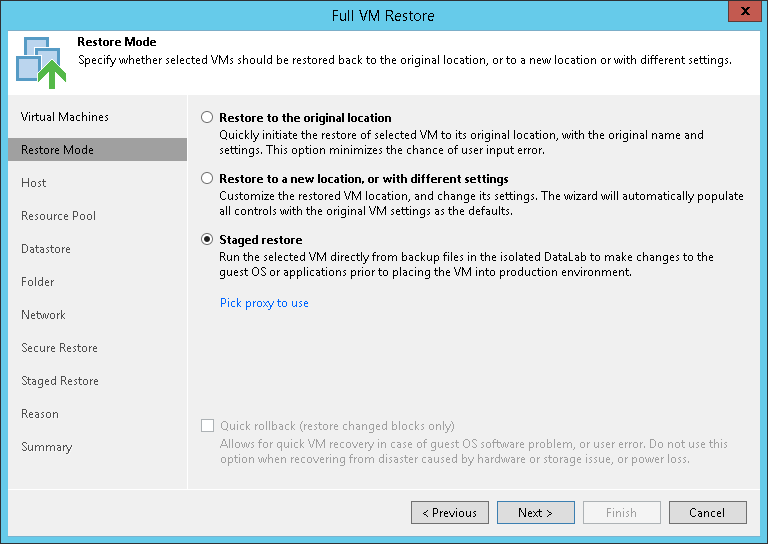 I recreated the backup job using the new vCenter as the source for adding the VMs. I must have missed something but only articles I find are all about restoring vCenter itself or restoring a VM when vCenter is dead. I don't have a case ID yet as I thought I'd try the community first. When you run through the restore wizard if you are picking a restore point that was taken whilst the previous 5.5 VC was in play then it would think this is the original location, you would i would expect then have to restore to a different location and choose your new appliance. 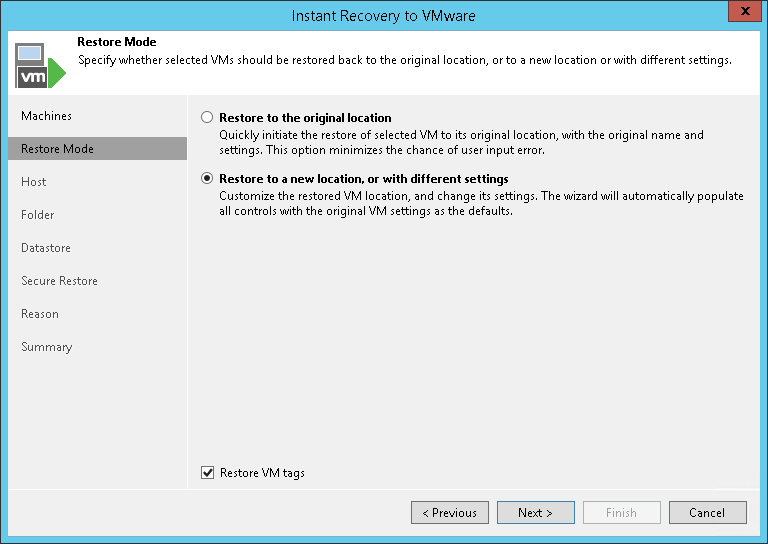 This is the wizard for instant VM recovery where this can be configured. it seems as though the restore point you chose would have been tied to the old vcenter server - could have been an older restore point created through the old vcenter. I had thought it wouldn't matter as I picked a new Full backup assuming that should be clean of previous associations, however your suggestion worked fine and I was able to complete a test restore using the Full Restore Wizard. Good stuff thanks for letting me know.